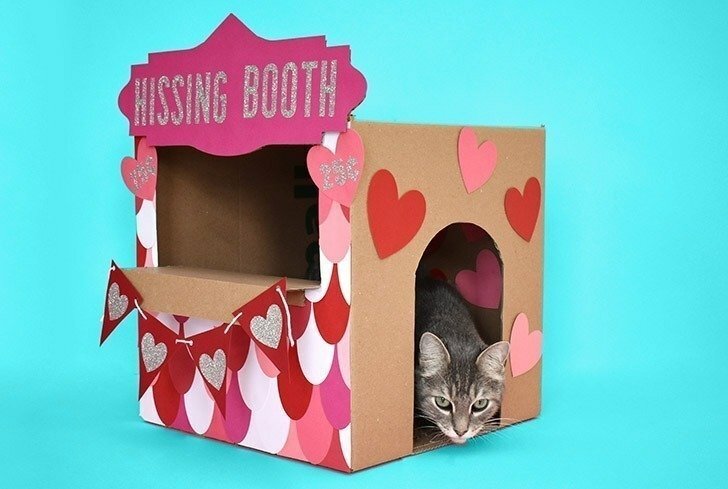 Don’t you just love this “hissing booth” cardboard cat hideaway? 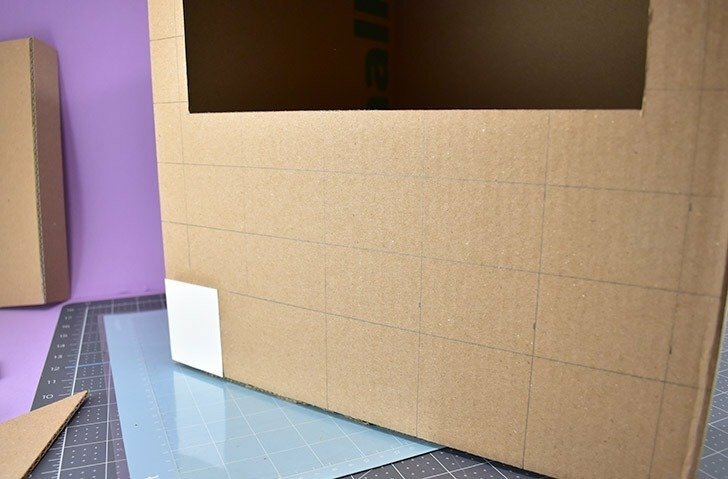 All you need is a moving box and some cardstock to make this adorable kitty play place. As I’ve been packing I’ve also been doing a bit of sorting and organizing. Here in my office, I packed away 5 different notebooks that I have used over the last 3 years to write down and sketch out my ideas for crafty posts to share with you. Some of them come to fruition and some of them don’t. Maybe I have already made too much seasonal stuff for one month. Or perhaps I realize that the cost of the supplies isn’t worth the final product. But sometimes an idea written in one of the notebooks hasn’t been done, just because I haven’t had the time, just yet. 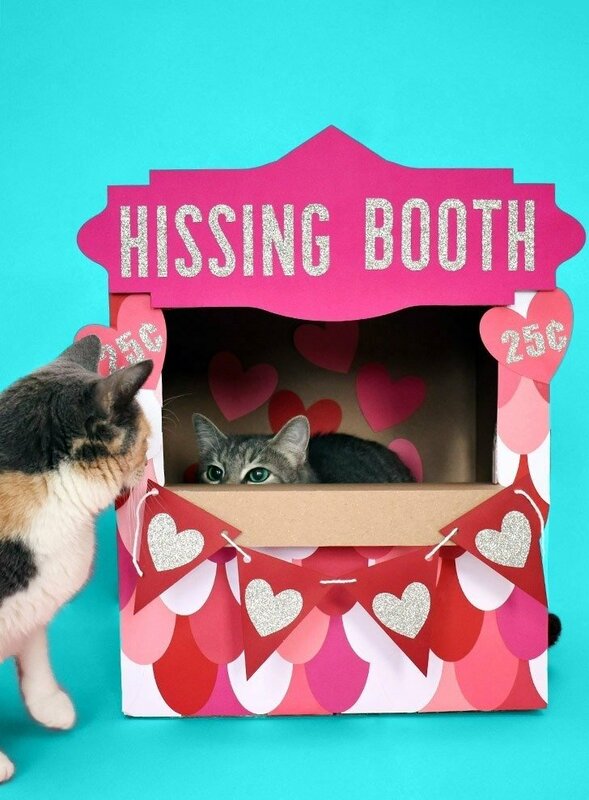 As I flipped through the notebooks I packed away 4 years ago so that I could move from Oklahoma to Brownsville I noticed that in every book around the time for Valentine’s Day crafts I’d write in “Valentine’s Day Hissing Booth for cats”. Well, this year it went from being an idea on paper to a real life cardboard cat house totally adorned with lots and lots of paper cut with my Cricut Maker. Now, how cool is that? 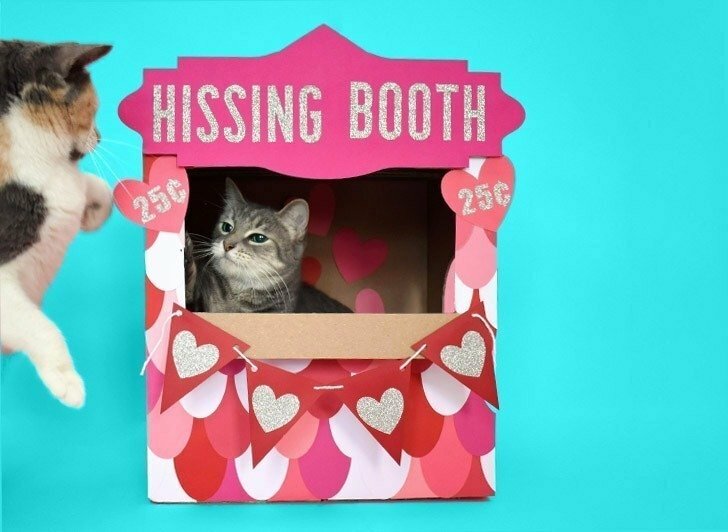 How to Make a Valentine’s Day Hissing Booth Cardboard Cat Hideaway with your Cricut Maker. 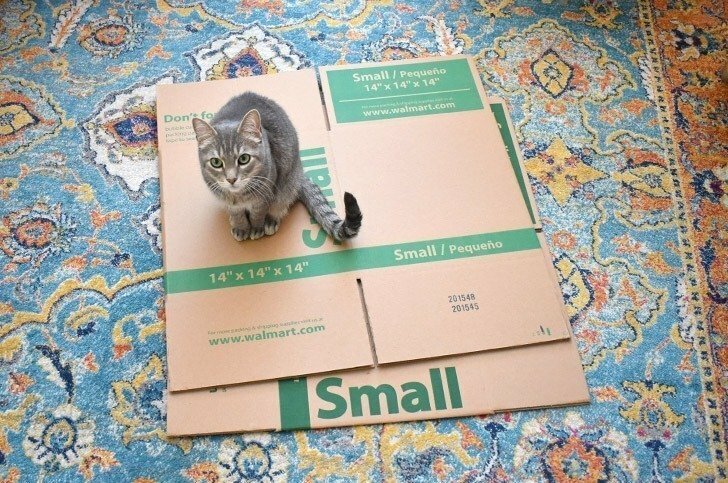 In the past, my cardboard cat houses have always been HUGE. Think less of a house and more of a mansion, really. So this time I wanted to create something smaller. 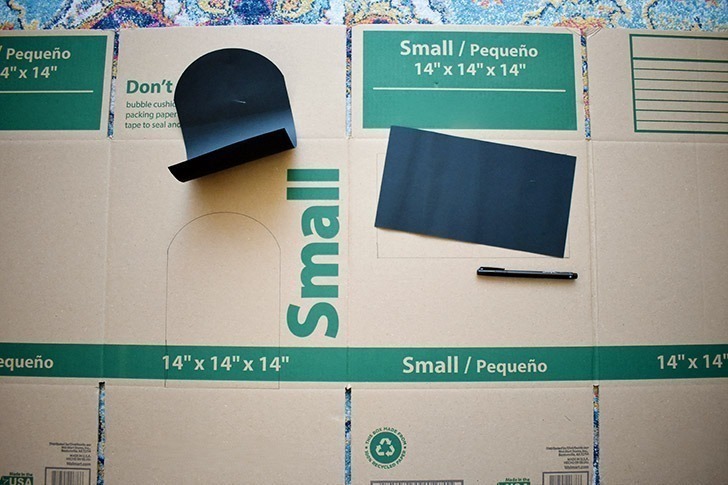 In comes the 14″ x 14″ x 14″ square cardboard moving box. 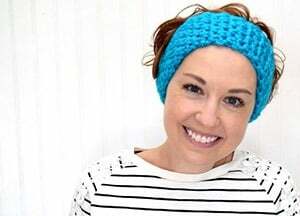 You can get these at your local superstore or popular hardware store for around a buck. On your box, there will be an area where the side is glued to a little lip. It will appear as a seam on one of the sides. 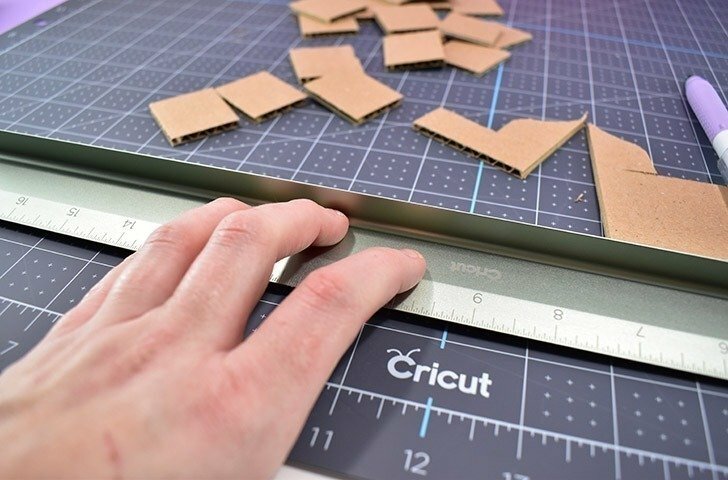 Take your Cricut TrueControl Craft Knife and carefully cut in between the two pieces of cardboard. Try to only cut in between and not through either piece. 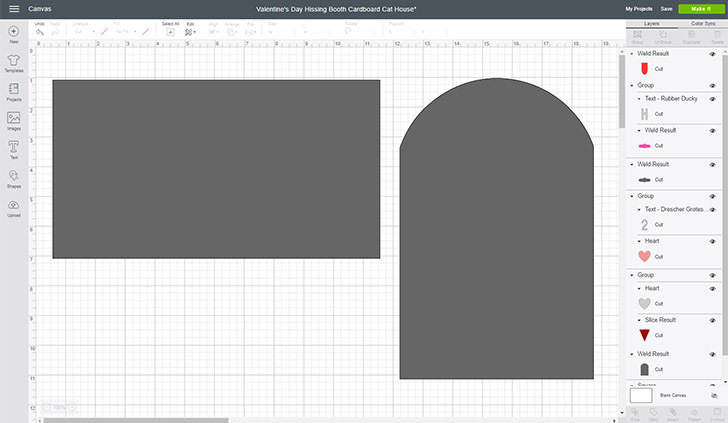 In Cricut Design Space you’ll want to cut out these 2 gray items. They are your templates for your door and window. If you prefer, you can draw in your own door and window and not cut these 2 files at all. 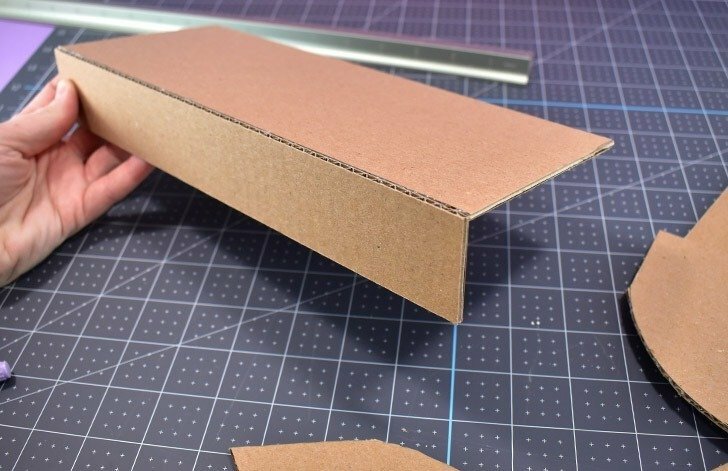 Open your box and lay it out flat with the printed/ugly side facing you. 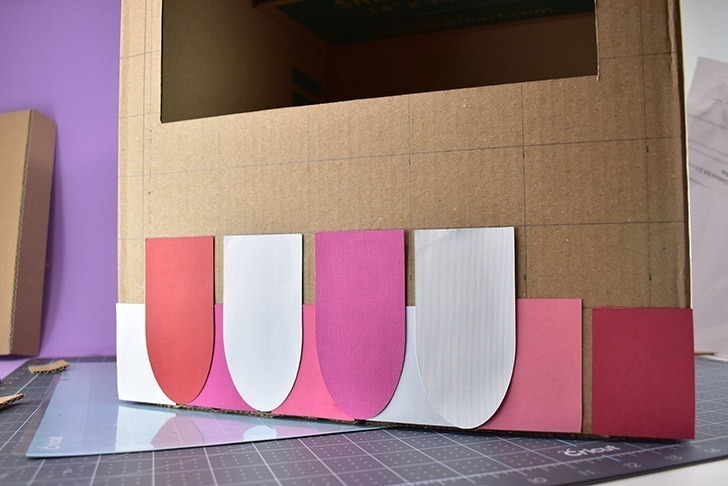 If you cut out templates, lay the door on one of the 2 middle panels and the window on the other middle panel. 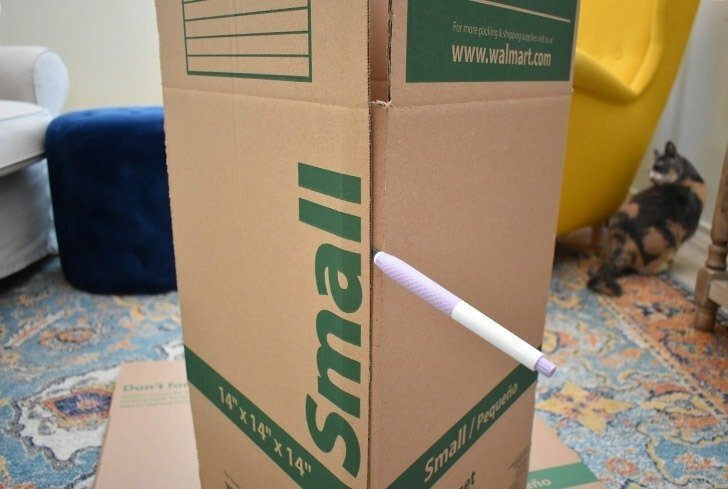 You’ll want the door to connect with the bottom of the box so there is no lip to step over. 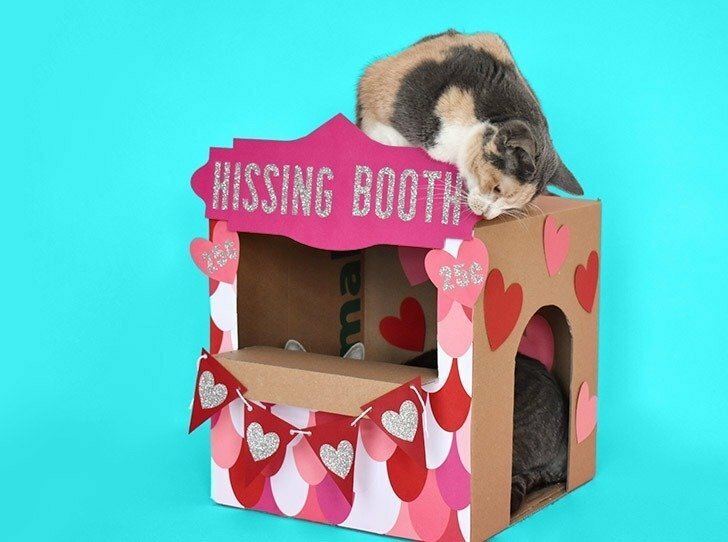 You’ll want the window closer to the top of the box so that your cats will not have to crane their neck down low to look out of it. 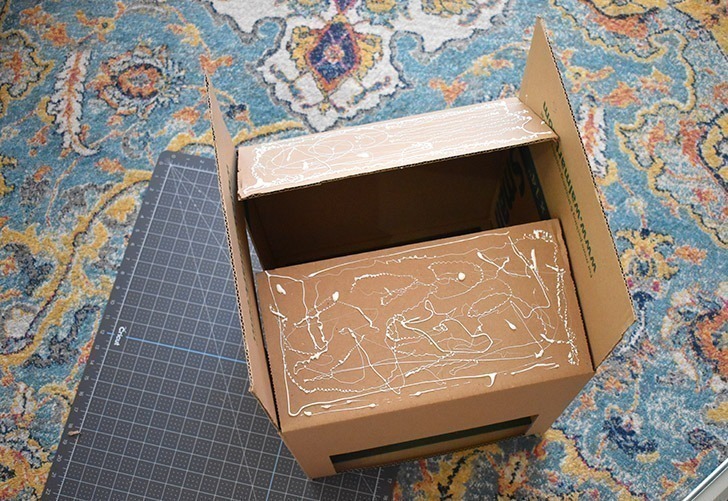 Using a quick dry formula of Tacky Glue (there are several, just use your fave) stick your box together, folding as needed and gluing the flaps of one end in place. 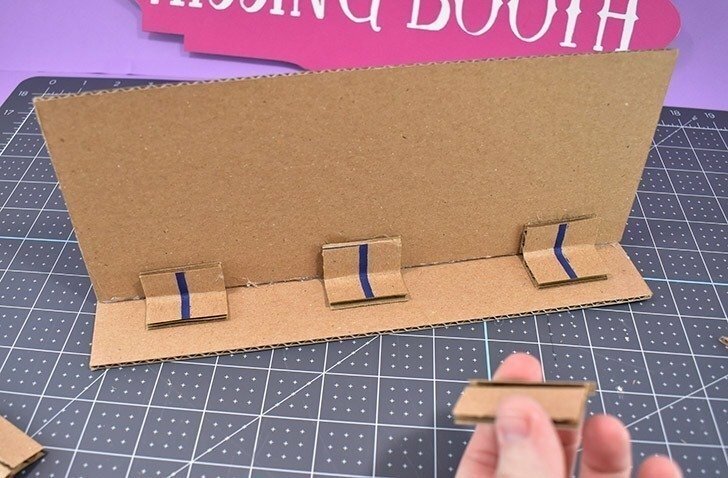 Turn that end onto the floor and place something heavy inside to keep the flaps pushed together so that the glue can bind them together really well. Since all of my books are packed up, I used 4 cans of veggies and they worked out great. Once that dry enough to hold the shape on its own, flip the box over and repeat for the other end. 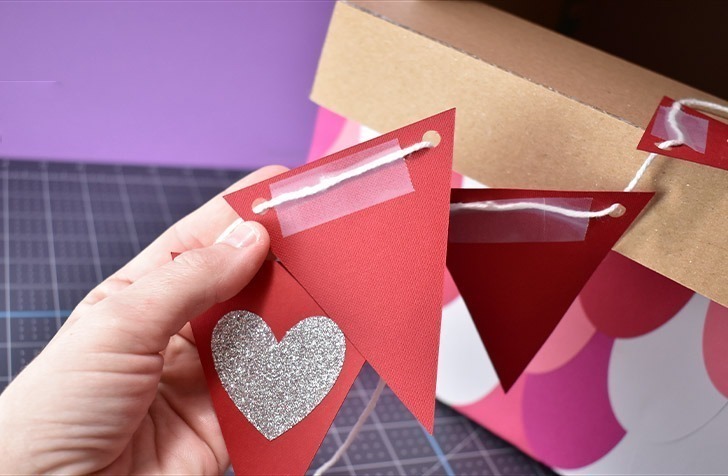 Take the smaller strip and hot glue it to the larger piece in an “L” shape. 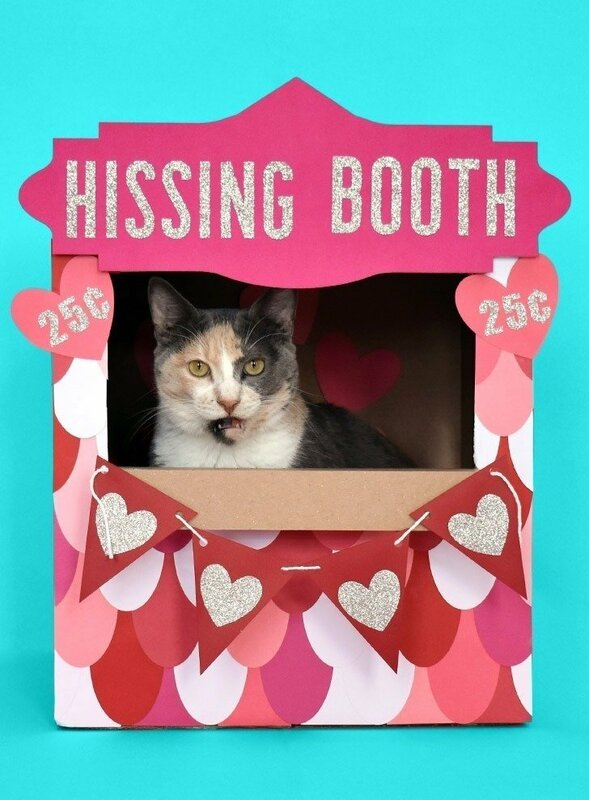 This will be the “counter” that all kissing booths seem to have. 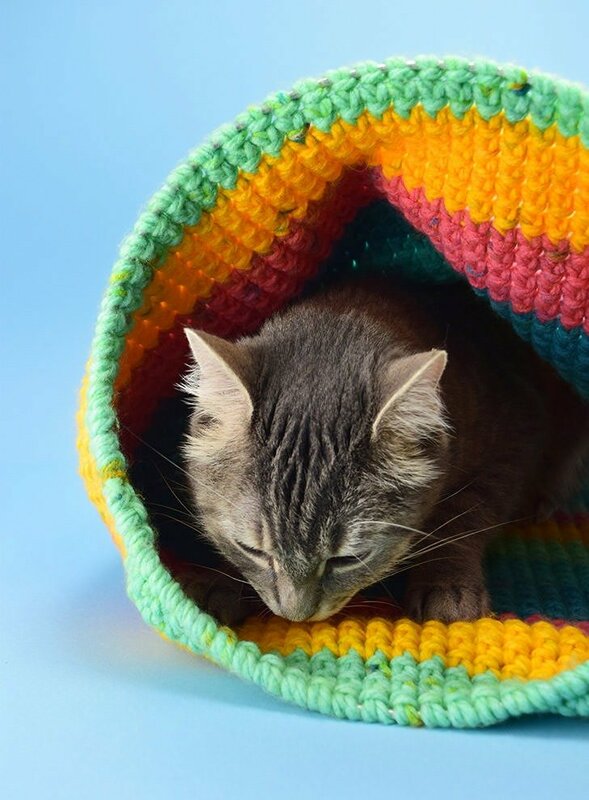 Along the inside angle you’ll want to reinforce the shape so that if kitty decides to put weight on it, it doesn’t just crumple beneath them. 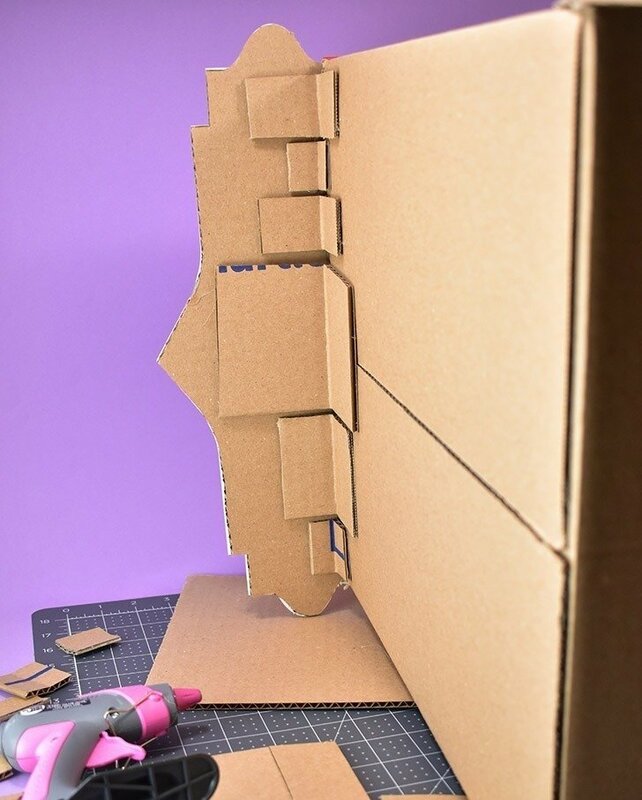 To make angle reinforcements, simply cut a bunch of small rectangles or squares from your cardboard offcuts. Slightly run the knife through the middle of one of these cut squares with the blade running along the corrugation. You just want to cut through that first layer, not the entire piece. 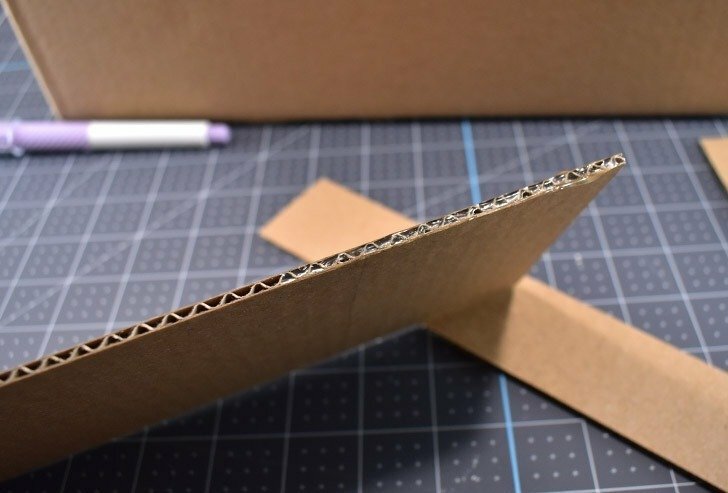 Bend the cardboard and you will hear a SNAP as it turns into a nifty L shape. 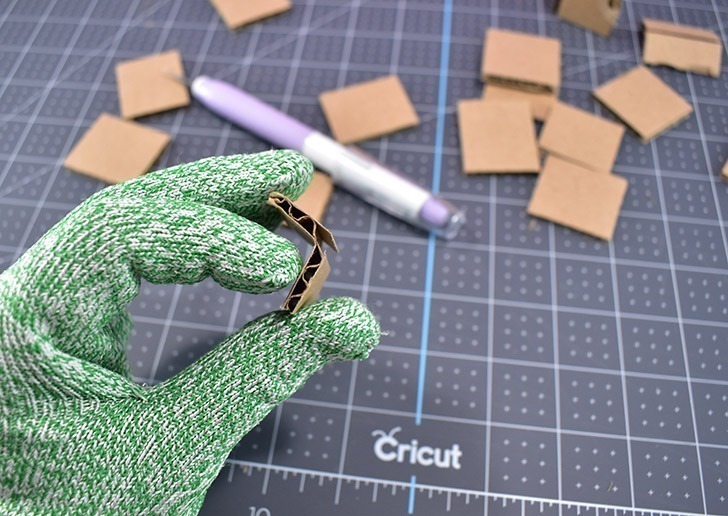 Apply hot glue to the sides with the cut and then wedge into corners and along edges to reinforce. Now you might be wondering what is up with my goofy glove up there. Well, I cut my finger very badly last year and now I wear cut-proof gloves because that was an experience I’d rather not have to go through again. It took me AGES of using this ruler to figure it out, but LOOK! With my Cricut Cutting Ruler, I can shield my fingers from the blade that’s running right by them with this metal shield. I mean, is this genius or freaking what? 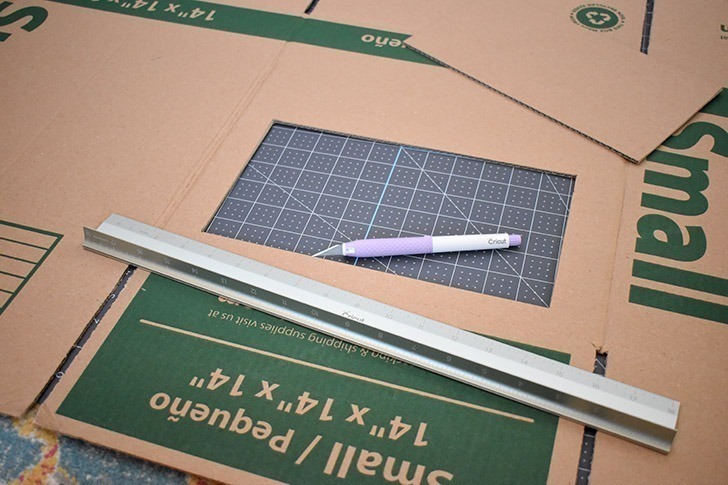 You’ll actually need to cut your sign pieces out of 12″ x 24″ cardstock, but you can get both your template and your actual facing piece out of one sheet of stock. 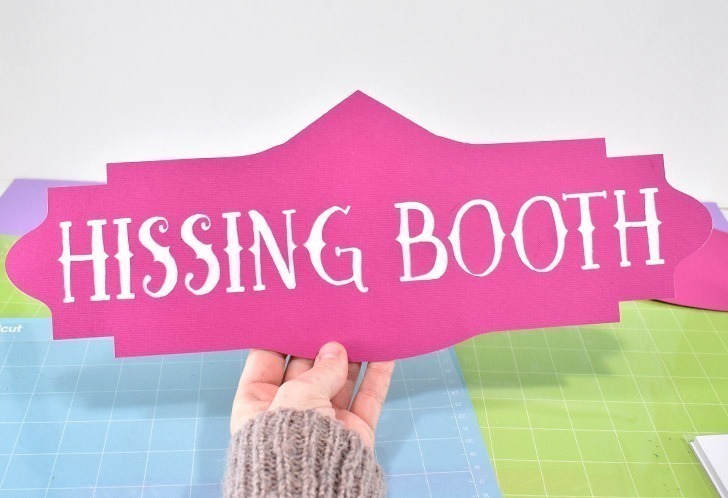 Using a piece of cardboard from your trash stash (come on, we all Amazon Prime far more than we should, I know you’ve got something out in the garage) cut out the base shape of your “Hissing Booth” sign. Next, you’ll need to cut out 48 “shingles”. In your cut file, you have 12 shingles ready to go. 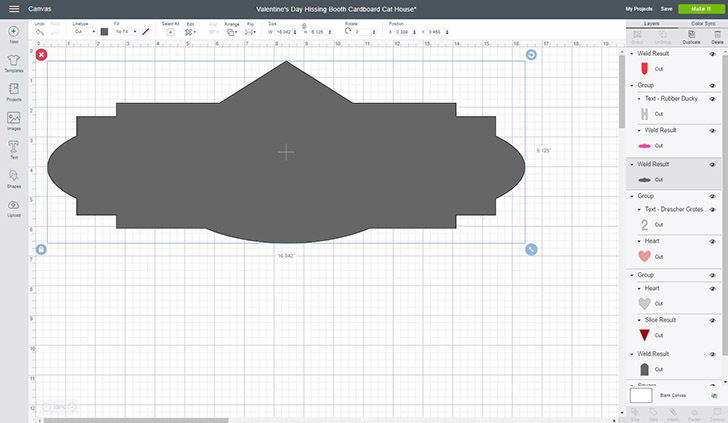 This is the most you can cut out of one 12″ x 12″ piece of cardstock. You’ll need to rerun this one cut four times to get enough shingles. For my shingles, I cut out one of each color in my Cricut Cardstock Sampler Red Tones plus another run on a piece of white cardstock. Grab a pair of scissors and start tiling your front side with the shingles, overlapping them as you see on a roof, cutting where necessary to make them fit. Now let’s make that groovy Hissing Booth sign and all of the fun little decorative items, too. The pink shape is the front of your sign. 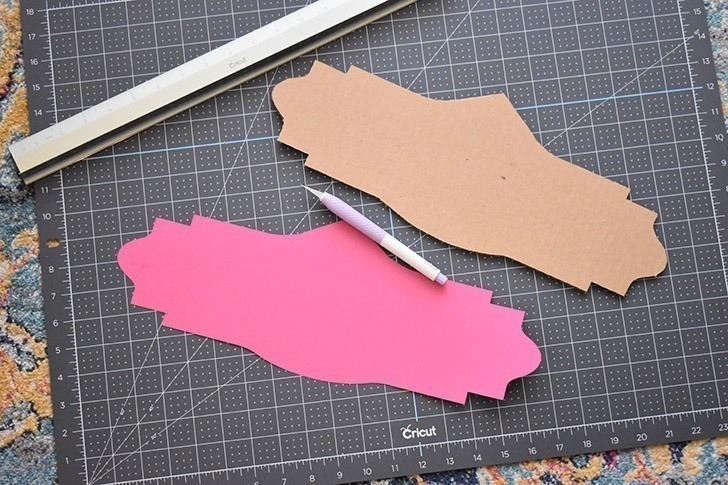 You’ll be gluing this onto the cardboard shape you cut out (that is just slightly smaller than this pink shape so you don’t see the cardboard edges when viewed from the front). 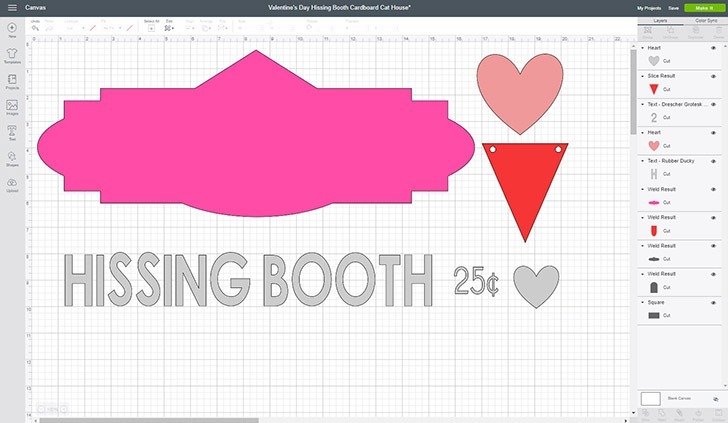 Then we have a large pink heart that will show the price for one hiss, which you will cut 2 of, and then we have the red penant, which you will cut 4 of to make the banner that hangs from the shelf. All of the items in gray you’ll be cutting out of Cricut Glitter Iron-On. Now, I know what you’re thinking… HTV on cardstock? And the answer is YES! Isn’t that just the coolest darn thing? 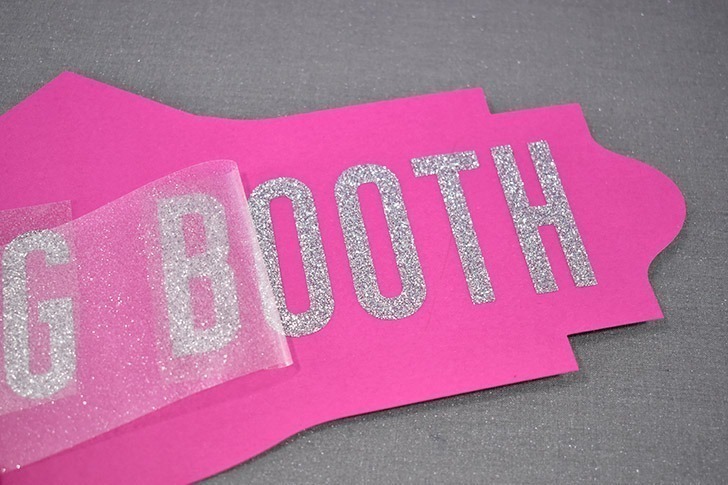 I was initially going to cut my letters out of regular old glitter vinyl but vinyl STICKS like crazy, you know? And I need some finagle room to make sure I get the design on halfway acceptably straight. 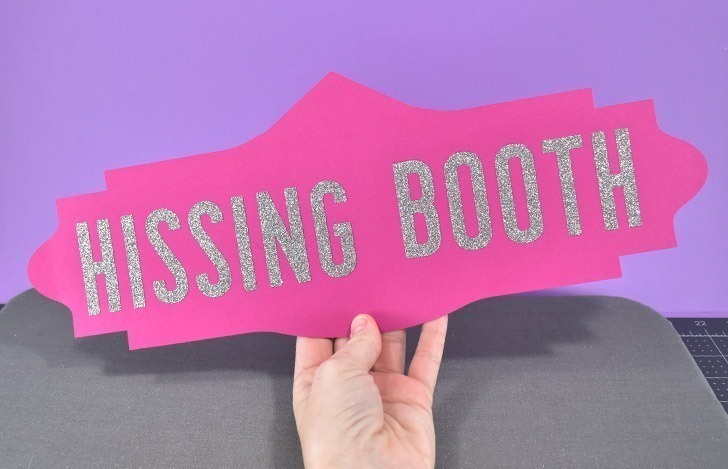 So cut those gray items out of silver Cricut Glitter Iron-On and weed away what you don’t need. 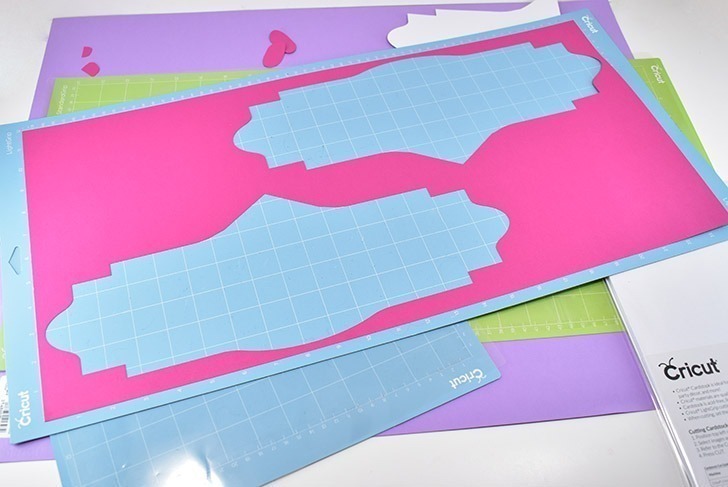 Place your weeded Iron-On directly on top of your paper cutouts exactly where you want them. 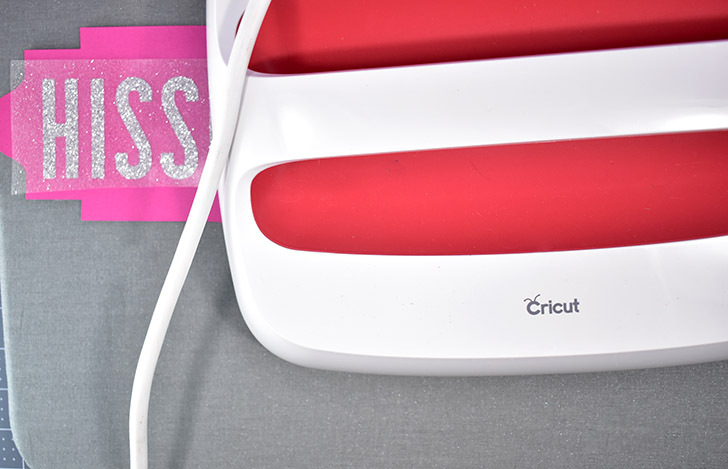 Heat your Cricut Easypress (or iron) to 280° and press down gently for 30 seconds. and bingo, bango, it’s done! Now isn’t that just so fun looking? SO FUN. Now repeat this method and adhere your iron-on hearts to the pennants and the 25 cent cutouts to the hearts. Now, full disclosure the sign I wound up using was not the sign I first created. This was the first design and I cut my letters out of cardstock and the backed that with another piece of cardstock in white for a sort of beveled look. But when I returned to finish this project up the next day I just HATED IT. Plus I had managed to get grease stains on it from when I moved everything right before bed but right after my homemade butter cookie bedtime snack. Bleh. But honestly, I DIG the new sign so much better anyway, it was a perfect accident! 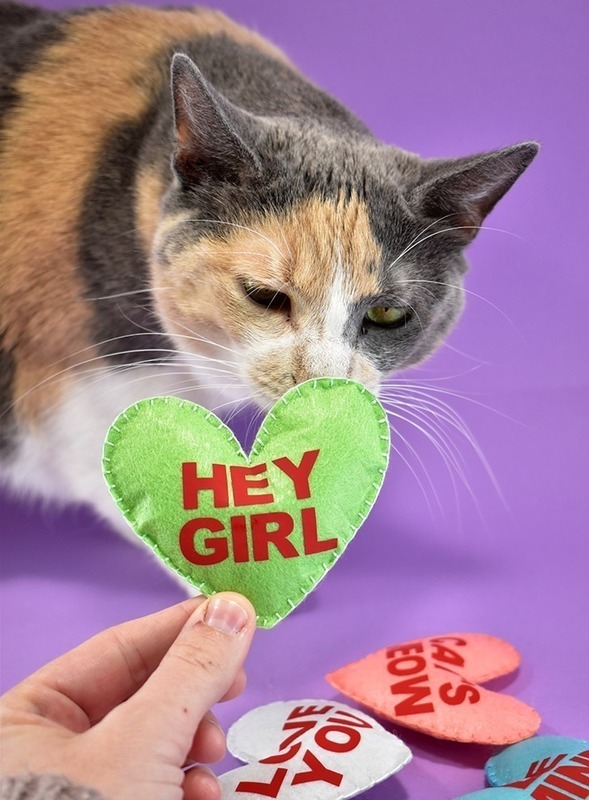 Using hot glue, attach your sign to the front of the cardboard cat house. Add your hearts just below. Flip that sucker over and add reinforcements to make sure the sign holds up nice and straight. And stays still when your cats aggressively rub their cheeks on the edges to mark it as theirs. Seriously, this is going to be a big thing, I can promise you. Now you might notice that in the middle I made a custom, very large cardboard corner brace so that it would be more effective at keeping that piece nice and straight. It doesn’t really connect that much to the front, so this is a good idea so that it has more surface area that it’s actually glued to. Run your pennants onto a piece of string (I used cotton yarn) and tape them in place. 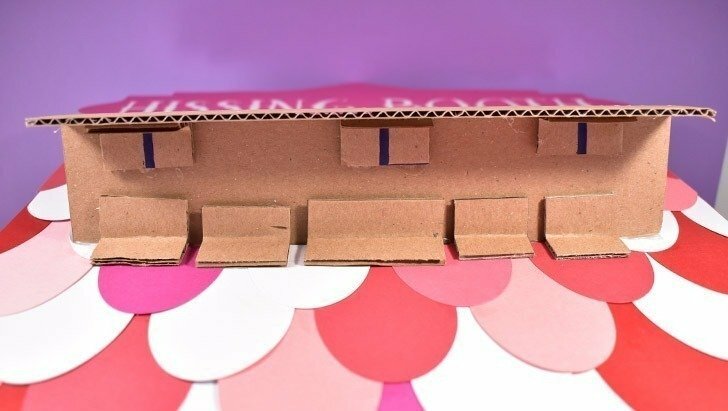 Hot glue the back corners for one on each end to the front of your shelf and we can call this project good! Well, mostly. 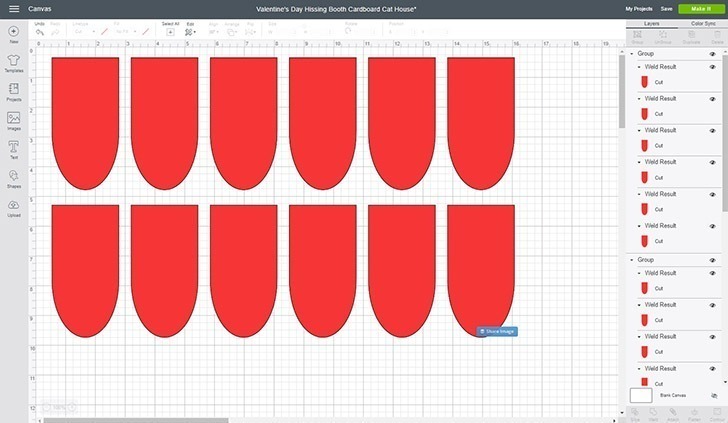 Since we have some cardstock that won’t be totally used up, feel free to use the leftover to cut out random hearts and place them wherever you please! It’s surprisingly adorable, right? 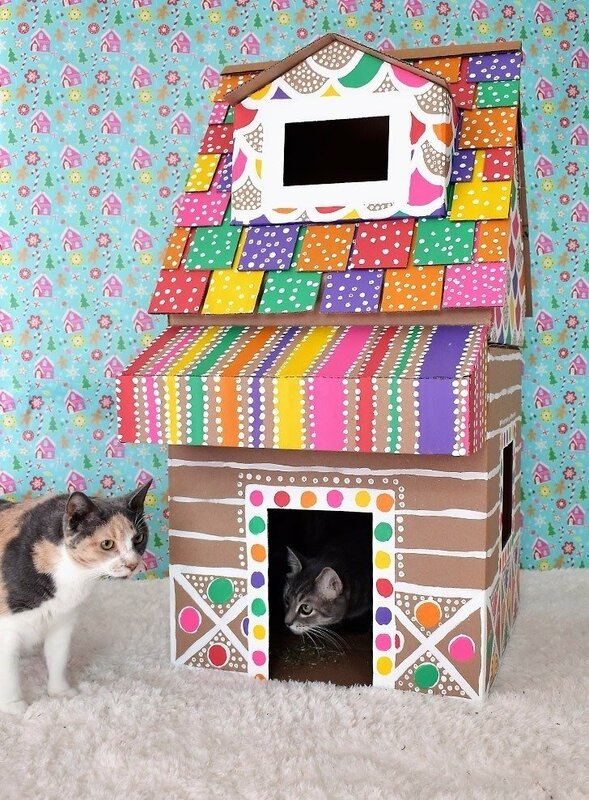 Now, normally when I make a cardboard cat house I spend at least 2 days on that sucker because I hand paint it and I make it ginormously large. But by using my Cricut Maker to make the designs instead of paint and a brush, I saved myself over a day and a half of effort. In fact, this guy came together in about 2 hours and that is WITH me having to work out the design and photograph the process. 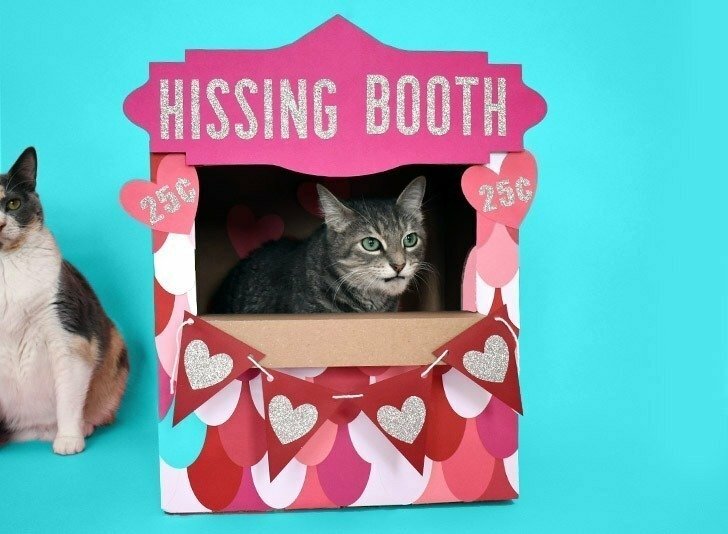 I figure that with everything laid out and ready to go for you, it should only take about an hour, an hour and a half MAX to make your kitties the most adorable Valentine’s Day gift, their very own Hissing Booth Cardboard Cat Hideaway!